As a seasoned rescuer, I spend my dies fighting for animals, without a voice. One of my mentors, who is a veteran of rescues himself once told me that when it comes to giving a voice to the voiceless, the work is plenty, but the workers are few. Fidonation, we are truly a special bunch and you must be commended for that. I first came across the case of Dorthy and Tarah, 8 weeks old shepherd puppies, and it is quite the heartbreaker. 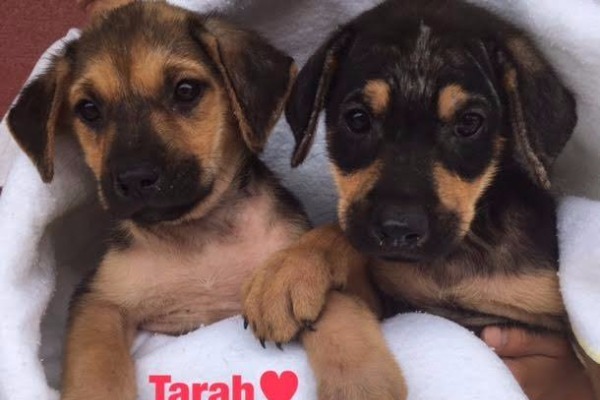 Dorthy and Tarah, who are enduring a near complete kennel run at the high kill San Antonio Animal Care Services is exactly what her name implies. Dorthy and Tarah are a cute female pack looking for a home they can grow up in! Could you give one of them a home? They are 2 month old Shepherd bends. Additionally, please share this story on Facebook or Twitter, so we are closer to finding Dorthy and Tarah a home. We have done it before and can certainly do it again.